There's a new holiday latte on the block, and it's a mocha?! Up until now, Starbucks had a bit of a monopoly on high-profile sugary holiday-themed beverages. But the trust busters over at Caribou Coffee have decided to get in on the game with a brand-new offering: the Gingersnap Cookie Mocha. And it's gonna give the Chestnut Praline some serious competition. The latte's made with espresso, steamed milk, chocolate and gingersnap syrups (the latter contains ginger, clove, and allspice), and is topped with whipped cream and actual crumbled gingersnap cookies. 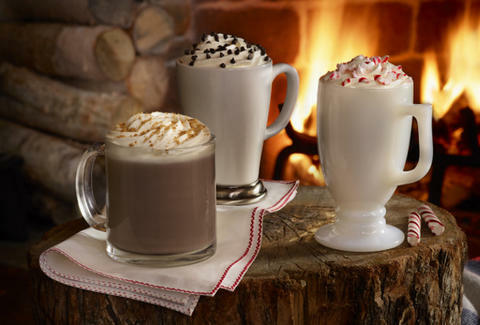 The latte joins Caribou's other traditional holiday beverages (the festively named Fa La Latte and Ho Ho Mint Mocha, among others) and is available until December 31st. Adam Lapetina is a Food/Drink staff writer for Thrillist, and can't wait to see what New Year's lattes these companies will whip up. Read his musings at @adamlapetina.